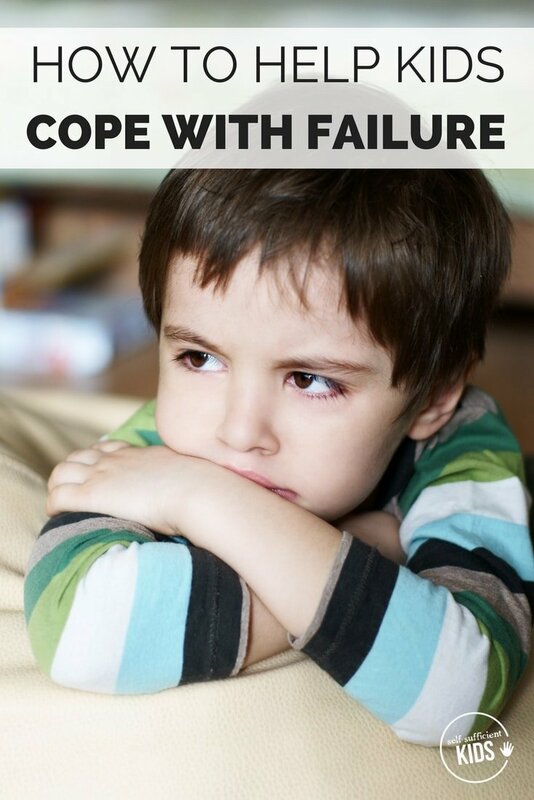 Inside: Tips and insights about how to help your child cope with failure while still encouraging them to keep trying. “You can do it!” I yelled, hands cupped around my mouth, as my daughter swam toward a float 100 yards offshore. This was our third summer spending a week at a rustic lake-side camp up in Maine. In order for children to take part in certain activities at the camp, such as waterskiing or sailing, they were required to pass a swim test to prove their ability. At seven years old, my daughter was now ready. This would be the year, I was certain. She’d been getting stronger at swimming each year, and passing this swim test would open a range of opportunities for her this summer. But midway through the test, I could see from a distance that something wasn’t right. She seemed tentative and wasn’t swimming as strongly as usual. All of a sudden, her hand clasped onto the arm of lifeguard swimming alongside her. Together, they began swimming back to shore. Stepping onto the sandy beach, she came up to me, tears streaming down her face. “I couldn’t do it.” she whimpered. “No!” she demanded, with a furrowed brow and stubborn look. “I can’t do it. I won’t do it.” She said as she pulled away and walked back to our cabin. This wasn’t the first time I’d tried to encourage one of my daughters, only to have it backfire. So many times in the past I’d been supportive or encouraging – or so I thought – only to make my kids more discouraged and downtrodden than before. My heart yearned to soothe their disappointment, but I also wanted to urge them not to give up in the face of challenging situations. So I would hug them, try to listen to them as best as I could if they had something to say, and then reassure them that they were capable. Sometimes I’d then express my confidence, as in the swim test situation, that they could accomplish their goal with perhaps a little more effort. But clearly, what I was saying wasn’t working. And I had no idea why or how to fix it. Years before I’d soaked up the ideas shared in the book “Mindset: The New Psychology of Success,” by Carol Dweck. The research shared in her book made so much sense: people with a “fixed mindset” fear failure because they believe it defines their intelligence, while people with a “growth mindset” see failure as a minor stumbling block, an opportunity to improve and grow. There was no doubt I wanted to raise my kids with a growth mindset. Who wouldn’t? And I was trying to. But clearly, I still had a lot to learn about how exactly to encourage this mindset in my children. Yikes. Really? Do I have to? Research shows that parents’ mindset about failure — whether they view their own failures as a positive opportunity to learn and grow, or a negative experience that hinders success — can have a big influence on how children think of their intelligence. “Parents have this powerful effect really early on and throughout childhood to send messages about what is failure, how to respond to it.” Kyla Haimovitz, a professor of psychology at Stanford University, told NPR. You need to ask yourself: even though I want a growth mindset for my kids, do I really possess one myself? Parents who have, historically, seen their own failures as debilitating, will teach their children that their intelligence and talent are fixed. This creates little incentive for kids to try again or push themselves past a disappointment. Why put in the effort in if their parents are telling them, inadvertently at least, that nothing will change their ability or intelligence? On the other hand, parents who see failure as an opportunity, encourage a growth mindset in their kids. If kids see their parents not react negatively to their own failures, kids will begin to see failure as simply a stumbling block to be overcome. A chance to hopefully learn, grow, and improve. Beware, however: while in most cases a parents’ mindset is a powerful driver of the mindset their children adopt, a child’s temperament and specifically their tolerance for frustration often plays an overriding role. In other words, sometimes even if a parent has a very positive growth mindset, a child may still find failure difficult to bear, given their temperament. Even parents who genuinely see failure as an opportunity can still be at a loss about what exactly to say when their child fails. First, before saying anything, try to demonstrate to your child that you’re listening to their concern, fears, and whatever else they need to unload. A major part of helping them feel better is just letting them vent. 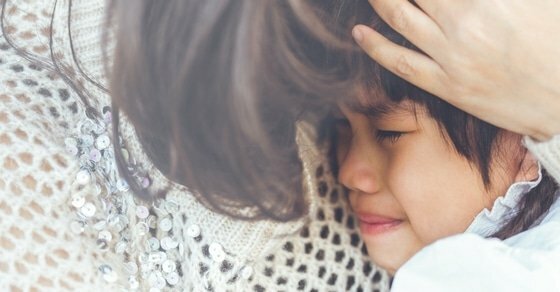 If it feels right to say something in response to your child’s disappointment, focus on what the child learned from the experience as opposed to their abilities. Research shows that focusing on what kids learned implies that it is still possible for them to improve — that their failure isn’t a fixed fact, impossible to change. Looking beyond what you say in the moment of failure, it’s also important to consider what you do you when your kids achieve a goal. While it might be tempting to lavish children with praise on such occasions, constant praise can create a situation where children view praise as validation for a job well-done. This can make their motivation for doing things directly tied to their desire to obtain your praise. Kids will then avoid taking on challenges they suspect they won’t succeed in — and thus, won’t receive praise for — to protect their perception of their self-worth. Another temptation as a parent is to create an environment for our kids that shelters them from potential failure or disappointment. Almost all parents are guilty of this. I know I am. But whenever we steer our children away from failure and disappointment, we’re taking away an opportunity for them to learn how to cope with failure — a skill they will need throughout the rest of their lives. 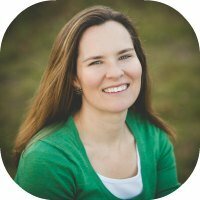 The book “The Gift of Failure” by Jessica Lahey, a middle school teacher and parent, delves into the many reasons why parents should back off from orchestrating their kids lives whenever possible. Of course, not every child will be successful at everything, and there’s no reason to keep insisting your son play soccer, for example, when he can barely kick the ball straight. The idea is to avoid sheltering kids from failure — not to push them into situations beyond what they are capable of, just so they will fail. Pushing kids beyond their abilities will only lead to real frustration and a lower sense of worth. It’s also important to consider if a child would experience extreme humiliation or bullying if pushed into an activity. Sometimes it’s obvious when a situation is too much of a stretch for a child and sometimes it’s not. Enter the tricky part of parenting where your best assessment of your child and a particular situation will have to do. Want a printout of the advice shared in this post? Click on the image below. You’ll also be signed up for my weekly-ish email that contains more information about how to raise strong, independent kids. That summer my daughter convinced herself she simply wouldn’t be able to pass the test. The way I tried to comfort and encourage her wasn’t working and eventually, I just backed off and we carried on with our vacation. Over the next year, I tried to watch the way I reacted to disappointment and failure. Instead of pushing my daughter to simply “keep trying,” I instead tried the tactics of empathy followed by a question or two about lessons learned. Even though she had some trepidation from last year’s experience, my daughter arrived at camp the next summer determined to try again and succeed. And this time she passed the swim test easily and in one try. Maybe she had simply matured a year, or maybe she had gotten over whatever fears she had had about the test from the prior year. But this wasn’t the only instance over the past year in which she seemed more confident and less afraid of failure. I most certainly won’t take the credit for her eventual success. But at least I had found a way to support her effectively during the year as she prepared to try to achieve that success. And in general, I now feel like my words and actions are helping push her towards a more confident sense of self and less fear of failure.